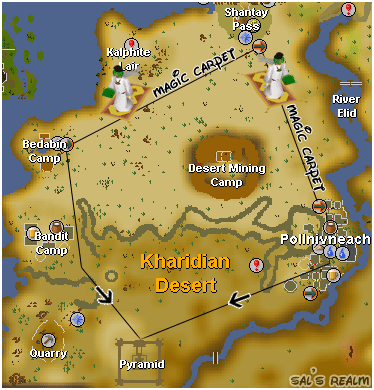 The Ancient Magicks are another form of Magic, only useable by Members after completing the Desert Treasure Quest. These spells are powerful, but you can't use both regular spells and Ancient Magic at the same time; you must switch between the two types when you wish to use one or the other. The Ancient Magicks are powerful spells. If you want to use Ancient Magicks, you will need to switch to the Ancient Spellbook using a special altar inside the Pyramid. Whenever you want to change, you will have to go to the altar and pray at it. If you're switching back to normal magic, the following ways are recommended. 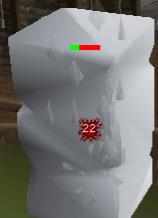 Teleport to the Duel Arena. 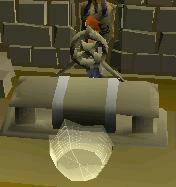 Go to Edgeville and use the Spirit Tree to get to Tree Gnome Village. Then use the Spirit Tree there to get to Gnome Stronghold. Walk a short distance north, and into the Gnome Tree and go to the top floor. Use the glider there to get to Al Kharid. 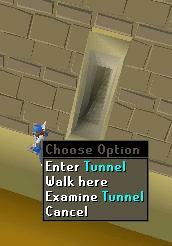 If you've completed the Pyramid Plunder Activity, you can teleport to the pyramid using the King's Sceptre. Unless you use the King's Sceptre method, it is recommended that you bring 205gp, or, if you have a Ring of Charos (a), 105gp. This is because you need to buy a Shantay Pass, which is 5gp, and use the carpet, which is 200gp (100gp with Ring of Charos (a)). You can walk, but don't forget to bring 2-3 full waterskins. You can also bring a knife to refill them from the cactus plants. Walking takes a while, so the carpet routes are recommended. Now once at the pyramid, you can go in through the main gate like the time you did during Desert Treasure, and try to kill yourself and waste a lot of time or you can just use the small door in the middle of the south side of the pyramid. Smoke: Poisons the opponent, and deals damage (p++). Shadow: Lowers the accuracy of the opponent and deals damage. Blood: You Heal 25% of the damage done to your opponent. Ice: Freezes the opponent so they can't move. Deals damage. Teleport: Teleports you a specific area. When you have the Ancient Magicks enabled, you will see a list of spells like the above ones when you open your spellbook. You may notice that you cannot use the normal staffs to auto-set the ancients spells. You need to use an Ancient Staff, which can be purchased after the quest (only once) for 80,000gp. You can also obtain them from Mummies in the temple, or from other players for about 80,000gp.